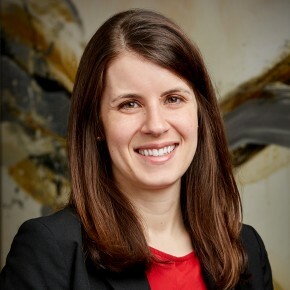 Andrea Fair joined Ward, Smith & Hill in 2016 after practicing complex commercial litigation in Houston for five years, where her practice focused on patent infringement, construction disputes, and insurance coverage and defense work. 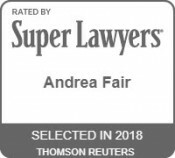 Ms. Fair has handled litigation at all stages, including taking and defending depositions, preparing pre-trial and post-trial briefings, handling pre-trial and post-trial hearings, and trying three cases to jury verdict or final arbitration award. With Ward, Smith & Hill, Ms. Fair continues to expand her courtroom experience. She has served as lead trial counsel, picked the jury, examined and cross-examined fact and expert witnesses, and handled oral argument on pretrial, discovery, and other motions. Ms. Fair graduated Phi Beta Kappa with highest honors from The University of Texas at Austin in 2007 with a degree in Economics and Spanish Teaching. Ms. Fair earned her law degree with High Honors from The University of Texas School of Law in 2011, where she was honored as a member of the Order of Barristers, a member of the Order of the Coif, and a 2011 Chancellor. She also served as the Administrative Editor of the Texas Law Review, the Executive Director of the Texas Law Review Association, the Moot Court Director of the Board of Advocates and the Chair of the Student Recruitment and Orientation Committee.